Once, the Iberian lynx thrived across the entire Iberian Peninsula. As the third millennium begins, a sad remnant of some 150 individuals survive in two tiny isolated habitats, the rugged mountains of Sierra de Andujar, and the coastal swamps of Coto Doñana. Until five years ago, both mini-populations were quickly fading away. There was no connection between them, their fragmented habitats were shrinking even further, they were starved by lack of prey and reduced by epidemics. But now, at the eleventh hour, local authorities, scientists, landowners and other groups have finally begun to act in unison, encouraged by the EU’s Natura 2000 program. Breeding stations have been installed and a migration corridor is being established to link the two populations. Rabbit populations that were wiped out by two epidemics have been reintroduced, because where there are no rabbits, there is no lynx. On the Iberian Peninsula, primeval landscapes are practically non-existent, so the Iberian lynx has lived on cultivated land for centuries – cattle, horse and pig pastures, cork oak forests, timberland, even holy sites of pilgrimage. Some of the lynx share the land with herds of free-ranging horses or fighting bulls. The diversity and beauty of our locations is truly stunning: the granite boulders of Sierra Morena, the rolling dehesa landscape of Andalusia, cork oak forests and olive groves, pine forests and sandstone cliffs along the Atlantic coast or the sprawling marshes of the Guadalquivir delta. The character and history of this land is as relevant to our story as that of the big cat itself. Many other species share the lynx’s habitat. The rabbit is a key character, and essential roles are played by partridges, red deer, moufflon, mountain goats, ichneumon, various vultures, imperial eagles, wild horses, fighting bulls and many migrant birds. Spain’s oldest and biggest annual pilgrimages, with a million people participating, take place in the middle of the two remaining lynx habitats: Virgen de la Cabeza and El Rocio. 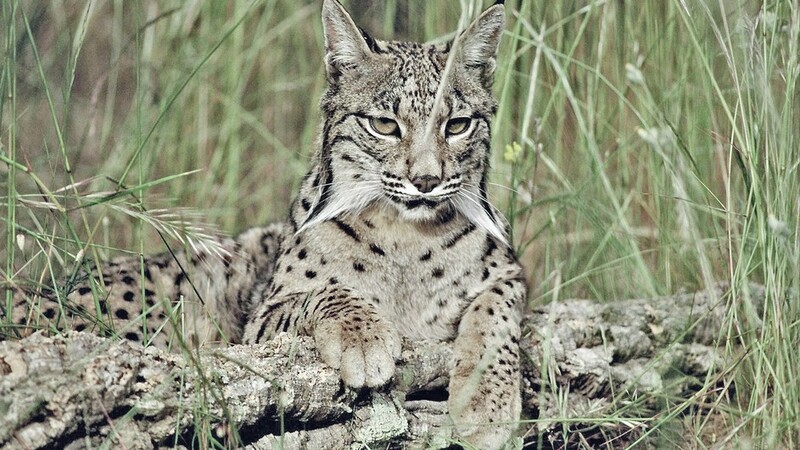 Since they directly affect the lynx population, they enrich the story with Andalusian lore.